My Honest Ibotta Review | did it make the cut after testing 50 apps? I quit using coupons a couple years ago because they took up too much of my time. I also felt that as we transitioned to real food, there weren’t a lot of coupons that fit our lifestyle. For a long time I didn’t do any “active” saving on real food. I just consistently meal planned and didn’t waste food whenever possible. Then I discovered Ibotta and my whole world changed! 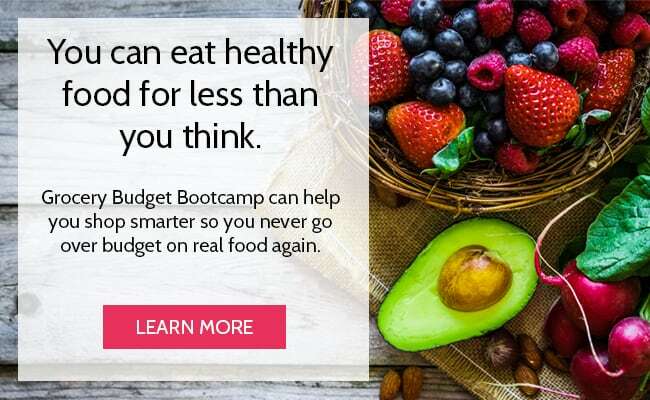 Let me just say that I’ve tried no less than FIFTY different apps as I was developing my course Grocery Budget Bootcamp. I included an entire lesson on grocery shopping online and another section on apps, and I wanted to make sure I knew how the apps and stores worked for myself, before offering them as an option to members. 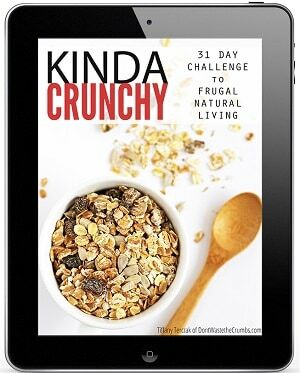 In the process though, I discovered some really great apps that save you money AND are crazy easy to use – perfect for a busy mama just trying to do the best she can with what she has! One of my favorite apps is Ibotta. Not only is it FREE to use, but they make it SO easy to save money. 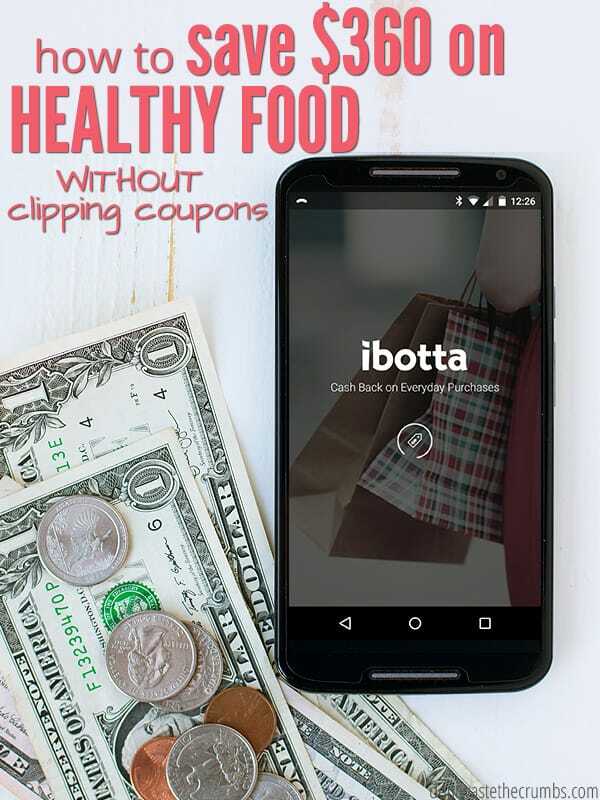 I know many of you might be on the fence when it comes to coupons and apps in general, so I’m sharing my own honest thoughts on Ibotta and how I make it work for my family. Download the Ibotta app for free. Click HERE to do that (it works whether you’re on the computer or on your smart phone). Shop at the store like you normally would. And that’s it! Really truly, is SO easy to use and you can start earning money right this moment! Better yet, join Ibotta through this link and you can get a bonus $10 for FREE! At any given time there are rebates available at over 300 stores – I bet there’s a rebate for something on your grocery list right now! Ibotta works at TONS of different stores… grocery stores, pharmacies, clothing stores, restaurants, convenience stores, home improvement stores and even shopping online. It works for brand name, store brand AND “any brand” items too! Honestly, I was surprised at how many different stores Ibotta has rebates for. So much so, that anytime we shop, I check to see if there’s a rebate before we leave the house! I use it regularly for grocery shopping and save anywhere from $2 to $5 each week, but I’ve used it for non-grocery items too. In fact, just last month I used a rebate at Cost Plus World Market (save $5 when you spend $30) to get the baskets for newly remodeled mud room. Before that I redeemed a rebate to Jet.com (5% cash back) while researching grocery shopping online. Then around Christmas I redeemed a rebate to Groupon (40% cash back) for photo canvases to give as gifts. Here’s how easy it is to earn with Ibotta – I’m up to $15 in the past 30 days alone and I haven’t even done much shopping. I’ll hit $180 by the end of the year if I keep going at this rate! Hands down, Ibotta is my favorite way to save on almost everything I buy. It’s SO easy to use and it works for things I was already going to buy. It gets better though – I can help YOU earn because you earn additional rebates from your teammates. There are bonus rebates available each month and to get the bonus, your “team” has to redeem rebates too. At the rate I’m going, I’m pretty sure I’m a good person to have on your team – join my Ibotta team HERE. Okay, so that’s the high level overview of Ibotta. Here’s exactly Ibotta works in a daily or weekly routine. By the way, if you haven’t signed up for Ibotta, some of this might not make sense. I recommend downloading the Ibotta app for free (and claiming your extra $10!) and then following along. First, I make my meal plan and shopping list just like I normally would. I normally shop on Fridays, which means I’m making my meal plan and shopping list on Thursday. This is perfect, because Ibotta typically releases new rebates on Thursdays. Second, I open Ibotta and scan the rebates. I start with the “grocery” category and then I look at the major stores in my area. For me, that’s Kroger, Publix, Sprouts and Walmart. There’s also a Target, Ingles and Whole Foods in the area, but I don’t shop at these store regularly. I shop at Costco about once a month, so if that’s part of my shopping plan for the week, I’ll check the rebates there too. It’s important to check the rebates at multiple stores because sometimes a rebate will only be available at one particular store. For example, I’ve found great produce deals at Publix that aren’t available anywhere else. I normally don’t shop at Publix because their prices are on the higher end, but I literally drive by Publix when taking the kids to/from school. So if there’s a good rebate available on produce, I’ll swing in. Once I’ve chosen the store, I immediately scroll all the way to the bottom and work my way up. I’ve found that it’s faster to go through the specific categories that apply to me, than it is to go through “What’s Hot” or “What’s New” categories at the top. From start to finish, it probably takes me about 5-7 minutes to check all the categories for all the stores in my area. Third, I add rebates to my list as I find them. You can do this by clicking the plus sign that’s on the rebate itself. When the quiz/video is over, you click the “Unlock” button and the rebate is saved to your list! Fourth, I shop like I normally would. I always shop with a grocery list and aim to get in and out as fast as I can. 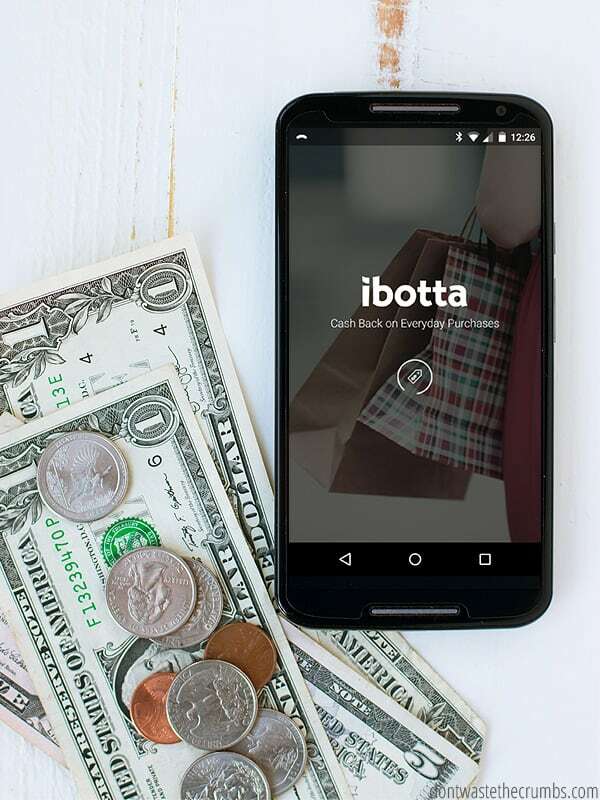 There are ways to use Ibotta while in store to save money too, and I’ll talk about those soon along with my other Ibotta hacks (trust me – you won’t want to miss it that post either if you use Ibotta!). Fifth, I upload my receipts as soon as I get home. I actually upload my receipts as I’m unpacking groceries. To verify your receipt, you go into Ibotta and find your store. Click the “Verify” button at the bottom and follow the prompts. You’ll have to take a picture of the barcode for each item (with most produce being the exception) and then either a picture of the receipt OR scanning the QR code on the receipt. That’s it! The rebates are added to my account within 48 hours and I’ve just earned free money! You can get cash back via Paypal or Venmo, or choose a gift card. Cash out with as little as $20 earned! If you work it right, you can even MAKE money using Ibotta! There are rebates for generic and/or store brand. Every week there is some sort of rebate for “any brand” items. Right now as I type this, there are 9 rebates for “any brand” items, saving a total of $2.25 for things you’d never see a coupon for. Even if there’s just $2 of savings on the typical week, that’s $104 in just one year. 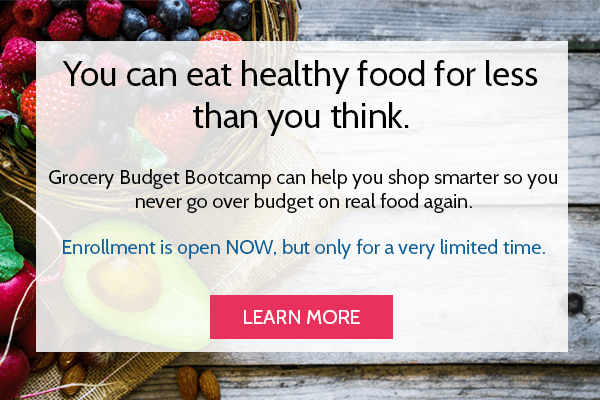 There are rebates for healthy food. Again, as I type this, there are currently 8 rebates available for fresh produce. There are 4 available for fresh meat and a handful of others for things I’d normally stock in my pantry, like yogurt and cheese. That’s another $5 saved on things you’d buy anyway and wouldn’t have a coupon for. Over a year, that’s another $260! 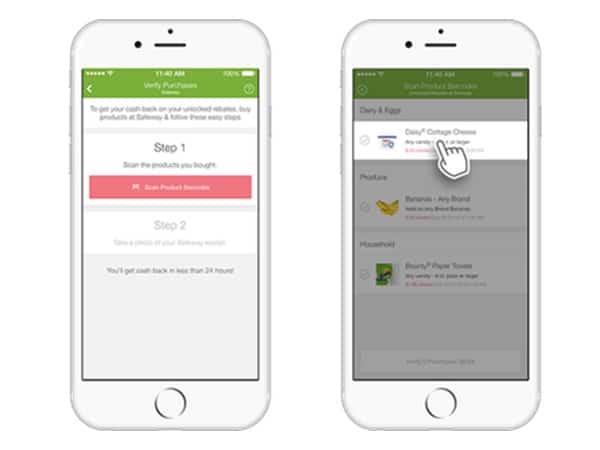 Here’s a tutorial on how I find healthy food on Ibotta. There are rebates for household items. Toilet paper, paper towels, cleaning products, trash bags… you buy some of these items too, right? So do I, and it’s always nice to save some money whenever I can on these things. You can save on things that are harder to save on. Rebates for wine, liquor or diapers?! Yep, Ibotta has these too. We like wine, and I use vodka for homemade vanilla extract. My kids aren’t in diapers anymore, but if they were, I sure wouldn’t pass up a $4 rebate when I saw it!! There’s a temptation to try new things. This might not be a bad thing for everyone, but it’s fun to try new things and Ibotta makes it too easy to offer a rebate for doing it. They often have “seasonal” rebates that align with holidays or big events (like the Super Bowl) and it’s VERY tempting to give in! At the same time though, I can’t blame Ibotta for my lack of self-control! In the end, Ibotta is one of the few apps that I’ve tried and that I’ve still kept on my phone. I don’t have a ton of storage space either, so that says a lot to how much I really like Ibotta! Sign up for Ibotta HERE! Use this link to join my team on Ibotta. 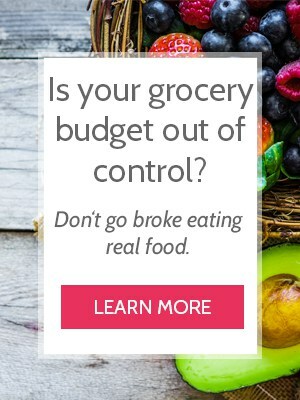 Save $360 on groceries without coupons! Do you use Ibotta? How much have you earned in rebates so far? I joined through one of your links, am I on your team now? Or do I have to do something else to get on your team? That’s all you have to do H – welcome!! What is the deal with a “team” with Ibotta? Also, I submitted a receipt to Ibotta September 6th and it is almost a week later and it is still not showing up on my account. It was my first time using it and so far I am a little nervous about it and afraid to put my paypal infornation. Hi Sharon! When you sign up under someone, you become part of their “team” and together, you work towards earning bonus rebates. As for not getting a rebate from Ibotta, I’d suggest contacting customer service! At first I ONLY had to scan my receipts now that my account is up to $4.75 it’s now asking me to scan each item barcode in addition to receipts. So what’s going on here because it’s seems like Ibotta is trying not to give me the money that it promised me by making it hard to redeem items. Nobody wants to go through any extra trouble that’s why WE ALL DONT USE COUPONS IN THE FIRST PLACE!!!!! 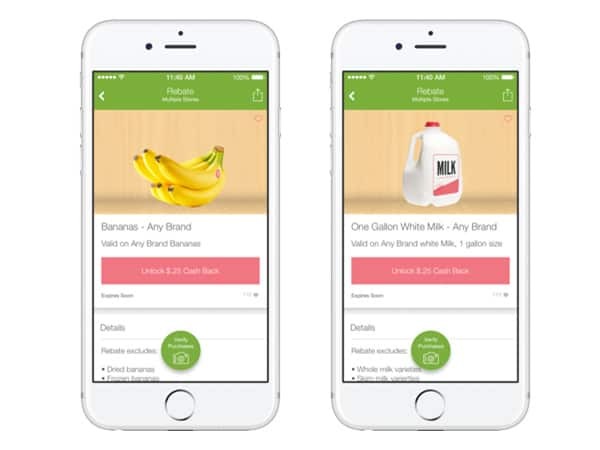 My opinion of Ibotta just made a drastic turn from good and easy to hard and time consuming… If I wanted to do all that I would be better off going back to coupons at least after my long shopping day I could put the groceries away and rest with my money STILL IN MY POCKET!!! If I already have an Ibotta account is there any way to connect to your team? Hi Rosetta! Unfortunately we can’t join teams after the fact – you have to sign up under my link. HOWEVER, you can become teammates with your friends on Facebook and still earn bonuses through them! Can we friend you on Facebook to join your team? That’s about the only good use of Facebook, haha. Sandy – the referral is credited only if your friend redeems a rebate with 30 days. It seems like those details about not getting the promotions for getting others to join are very much in fine print Sandy. That is why I dont ever bug my friends to do those things. It now says you get !10.00 for using your first rebate. I had my boyfriend buy something from a specific store so I could use the receipt for the 3.00 AND get the 10.00 bonus and I have yet to receive either one. I have contacted customer service to get it straightened out and if someone doesn’t get to me soon I am deactivating my account and looking for a different app. to be honest I have made a ton of rebates with Ebates which seems much better! Hi Oksana! Unfortunately we can’t join teams unless you sign up under my link. You can, however, become teammates with your friends on Facebook. Congrats on your earnings so far!! I have been a Ibotta user for about a year now. I love it, but recently there are no good rebates I products I use. Need to put more of everyday products that you had in the past. The rebates can be hit/miss some weeks Robyn, but I’ve been pleasantly surprised at the variety that keeps showing up. And there always seems to be something listed that I was going to buy anyway! I was really disappointed with ibotta. It seems the only real way to get money is to have friends sign up under you. We don’t buy much outside of meat, veggies, fruits, and flour – the rebates are mainly for brand named things that we wouldn’t buy anyways. For a little bit there was a rebate for ground beef, milk, bananas …. but I haven’t seen those in a while. I think as a money saving app for someone who isn’t getting people to sign up under their links it really stinks. That’s unfortunate Amanda! I’ve actually found several offers on most weeks for healthy items. For example, there’s an offer (as I type this) for milk + oats, eggs, shredded cheese, corn on the cob, almond butter, bread, fresh basil, two types of oranges, 3 different brands of yogurt and all natural pork. Every week is different, but every week I find something we were going to buy anyway! I agree, and I think what it comes down to is where you live. I live in a small town and the only rebates are processed snacks and beverages and medicines.. And alcohol. Alot of alcohol. When I search all rebates, not just the local ones, there are alot of ingredients, just not at my stores. Ibotta was great, until they didn’t want to pay out. I have one store near my house and would frequently purchase new items based on a coupon from ibotta. I was soon banned from my account and could not cash in on the $30 I had steady accumulated during that time. Their reasoning for doing so kept changing. First it was improper receipt loading (I’m still unsure how to this day). When I asked them what I did wrong, it changed to too many uploads a week. And then again from using only one store. Some of the stuff they were acc using me of wasnt even stated in the terms. But I am still unaware of their reasoning. I had ibotta for almost a year, never had a problem when it wa’s a quarter here saved, a dollar there. But now just seems like they don’t want to pay up. Sorry for the rambling, JUST PLZ BEWARE when using this app. Oh wow, I’m sorry you had a poor experience with them Amber. I’ve cashed out twice and haven’t had any issues. Have you tried making a new account with them? I agree with this. I’ve been using Ibotta for over a year now and I have a substantial amount of money however I cannot redeem it. It tells me that my paypal account doesn’t match my Ibotta account or it says that my password isn’t right. I know my password is correct but what does it mean that my accounts doesn’t match? I’ve tried reaching out on the site many times but never receive a response. I received that error one time, so I disconnected my Paypal account and then reconnected it. That fixed it! I had this exact problem. I used the app for a year. Accumulated $30 dollars then tried to cash out and couldn’t. I tried several times with an Amazon gift card and then PayPal. 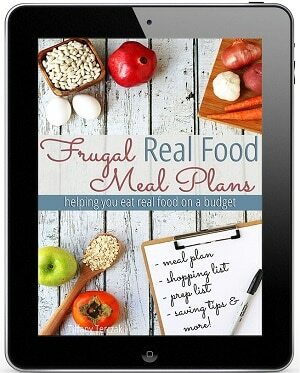 I loved how easy it seemed and how I could use it with whole food purchases. I just can’t get the money I accumulated back for the effort I put in. It’s really frustrating because it did take maybe 15 minutes of my time during each grocery day, I could have been doing something else with that time. To clarify, I didn’t have any improper reciept loading. My account was fine and still is. I just can’t cash out. Have you tried contacting Ibotta Julie? I had the same problem. It was just magically frozen. I am going to give it one more try-it is time consuming for some-I wish it would just cover all stores too! It happens again, I guess I will know. I just got banned for “improper receipt uploading”. I was making $6-9 a week from any bar rebates. I would take work clients to bars and buy them any offer that I knew i could make a rebate off of. I don’t think they like cashing out, and I was banned at $69. I am so close to being done with ibotta about 30% of my submitted rebates are returned as “unable to process” or just refused. I have NEVER submitted any receipts that were not eligible so this is all bogus!!! Not worth the trouble when 30% of my rebates refused. I’m sorry to hear that Jean! I’ve never had my rebates refused. Did they give you a reason? Have you tried emailing them to figure out where it’s not working? Got my pills at CVS, is medication covered also? Prob not, but have to ask. How to find what stores covered by Ibotta?l how to link existing paypal account to Ibotta? Thanks for your time, make good case for using Ibotta. Just put down website dontwastethecrumbs as where read about ibotta. I’ve been thrilled with it. We use it relatively passively so we don’t fall into the temptation to stray from our plan. If something happens to be on there that week – BONUS!!! I just sit down once a week with my recipes and redeem what we can. We are making anywhere from $0.25 to $5.00+ a week. I think the online cash back deals may be good and plan to start looking into those as the holidays near. I used Ibotta for almost 18 months then suddenly I was banned for assorted and various reasons. They were very unhelpful with their emails and I did not like the overall tone of the wording of the emails. It made me feel like a criminal and I don’t even know what I supposedly did wrong. I was accused of uploading shared receipts, fraudulent receipts, too many receipts, and so on. I usually uploaded about three receipts a week. Oh well I’m better off they taught me that virtual money is not money in my pocket. I will resume shopping at Aldi with low prices that keep the money in my pocket and I’m not depending on something that might evaporate before cashing out. I just joined, do you need to add me to your team? If you joined through my link Carol, you’re good to go! 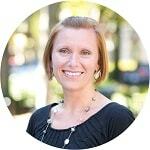 Deborah – did you contact customer service about the sign-on bonus? And still did not get rebate after one month sending them email ever week. Planning to contact HSN directly and write bad review. My daughter talked me into getting this. I haven’t even gotten to the first five dollars, and she’s just ordered a serger with her earnings. I’ve never been a good coupon clipper for the same reason—I just don’t buy mainstream boxed food. I scroll for miles and can’t find one single item that I need or use. Clearly it works for some, but not others. I’ve gotten 50¢ off here and there for general shopping, but have yet to find something I would actually buy. Ibotta is not a full time income. But I made $70 in February and $68 in March so far. Don’t throw your receipts away. I bought some cereal in February and it continues to keep appearing on available rebates. The rebates paid for that cereal. Before I go shopping I see what items and brands that are in it. Recently I picked up a receipt blowing across Walmart parking lot. Took it home and made 1.75 by just picking it up. What about online receipts from amazon and grocery stores where I pick up or have delivered? Can I upload those somehow? If you have a receipt from a local store you picked up from, that should work. For online only stores (Amazon) you have to start at Ibotta to shop and click through to the mobile site. Hi I am having trouble sending the long reciepts, I do it in sections but just won’t g o through. Have you tried contacting Ibotta? Or using a different internet service, maybe at a coffee shop? I’ve never had an issue with receipts going through, but it sounds like a connection issue. I love ibotta I use it with Walmarts savings catcher app and fetch rewards. I shop almost exclusively at Aldi… would it still be profitable for me to use this app? Does the “team” earning still work? I’ve made the same mistake on paper vs. digital receipts. Lesson learned though! Some weeks are great for rebates, others are just so-so. It just depends! I live in St. Louis, Mo 63144 area. unless I’m doing something wrong I can’t stores in the area expecting Ibotta. I’m so sorry Cindy! Ibotta is regional; hopefully there will be stores accepting Ibotta in your area soon! What if we shop walmart store pick up. I don’t get a physical receipt when I pick up. Can you somehow get rebates on these? I’m not sure Pamela – do you get a receipt via email with a barcode? I just want to thank you all for these comments. I’ve been a member since 1-1-19 and already have 31.00 on regular stuff I’d use anyway. Really helpful to hear everyone’s feedback. I am going to join thru your link, Tiffany, so I can be part of you team. If I become a team member with you, how do I keep up with other people on the team. Do you have a web page or blog I can read to stay informed. Hi Carrie! 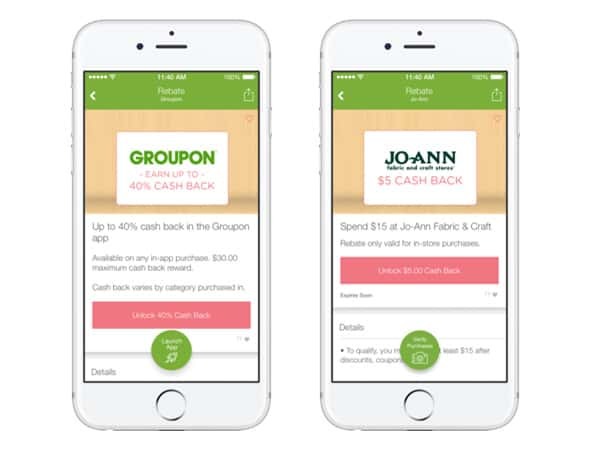 You can keep up just by logging into the app and seeing what rebates are available! 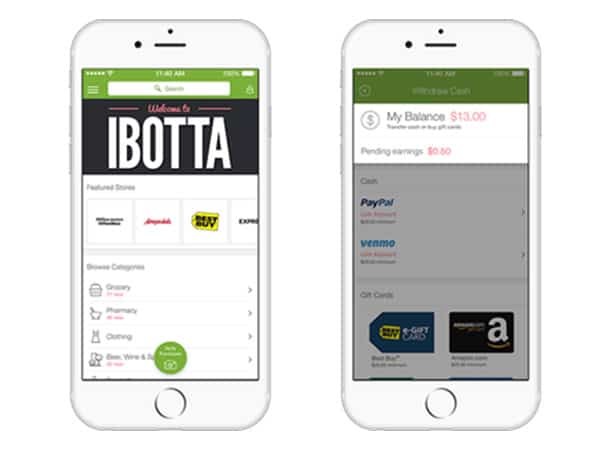 If you want to make the most out of Ibotta use it in conjunction with other rebate apps, paper coupons, and Wal-Marts saving catcher.